Contingent Offer - Accepting Back-up Offers. 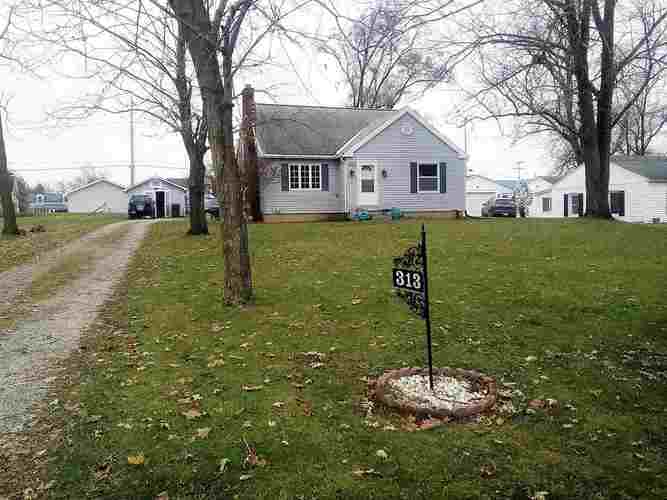 "Ossian Charmer" Three bedroom, 1.5 bath close to great schools,shopping and dining. Sitting midway between Fort Wayne and Bluffton. Large lot with 2-car attached garage and a 12x14 shed. Nice Basement with a lot of possibilities which includes the laundry room and a full second kitchen. This home has a Master bedroom on the main level along with the second bedroom. Upper level includes a huge 3rd. bedroom. Directions:From Fort Wayne, South of I-469 on state Road 1 to Ossian. Turn right on Roe street, house is on the left.